Each year hordes of backpackers across the globe strap themselves in for the long-haul flight to Australia for the chance to work in paradise. The caveat for being granted a second working-holiday visa is 88 days of mandatory agricultural work, a period that often ends up being 88 days of hell. They're promised high wages and fair working conditions against a picturesque backdrop, but the reality, for some, will be exploitation, wage theft and horrific working conditions. As an oppressive heatwave barrelled across Australia this summer, thousands of backpackers picked capsicum, chilli, figs and blueberries in the 40-plus degree heat. 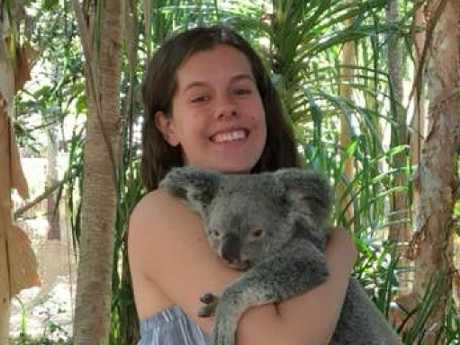 Summer is peak season for picking, but it's also an opportune time for contractors to profit from the flocks of backpackers desperate to stay in Australia. With hectares of crops to be harvested, farmers are desperate for workers to get the job done. This often comes at the cost of backpackers who are routinely underpaid and sometimes not paid at all. Phillip Kopp had dreamt about returning to Australia since taking a family trip around the country when he was five years old. Phillip fulfilled a childhood dream when he came to Australia to work. 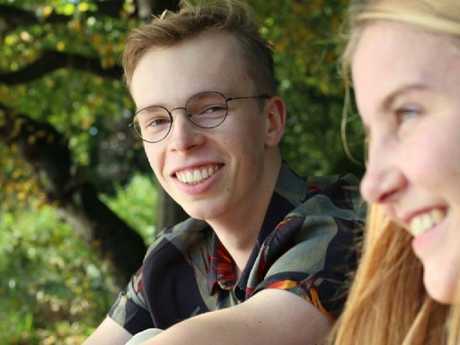 After finishing high school, he realised this dream and booked flights to Australia, planning to spend his gap year working and travelling abroad. The 20-year-old's hopes were dashed when he began working on a cherry farm in Griffith, New South Wales. Rather than paying hourly, his employer paid $1 per kilogram of cherries picked. Philipp says it was impossible to earn minimum wage due to this lowly rate. "Friends of mine who had been there before said it was really good work with a good wage, so I didn't expect to get exploited. Now I know that these sketchy places exist because I got exploited and felt worthless the whole time," Philipp says. According to Fair Work, piece rate should "enable the 'average competent employee' to earn at least 15 per cent more per hour than the relevant minimum hourly rate in the Horticulture Award". Philipp says it's not only farmers and contractors involved in the exploitation of foreign workers. He claims his hostel also profited by charging backpackers "transport costs" and a fee for providing the work. "They charged us an enormous amount for transport and took a fee, without telling us, for providing the job. They just took it from our wage," Philipp says. Phillip believes he was taken advantage of at the hands of unscrupulous contractors. While there are countless hostels, farmers and contractors doing things by the book, foreign workers are easily exploited because of their lack of knowledge about Australian working laws and the costly and time-sensitive pursuit of disputing illegal practices. Mildura is a farming town in Victoria frequented by backpackers looking for fruit picking work. Backpackers claim one contractor couple in the Sunraysia district allegedly owe more than 48 workers close to $30,000 from November 2018 to January this year alone. A viral Facebook post includes numerous claims the couple, Valerie Fonoilaepa and Paulo Ropi, have underpaid employees as well as locals and hostel owners. 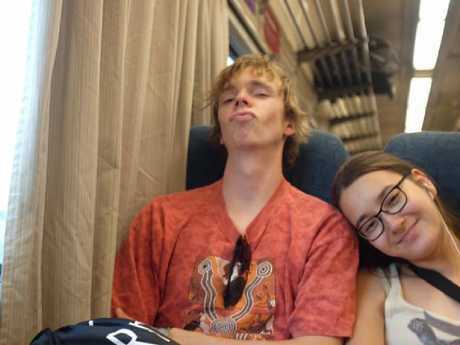 The couple deny the unsubstantiated allegations and claim they have bank records to prove it. 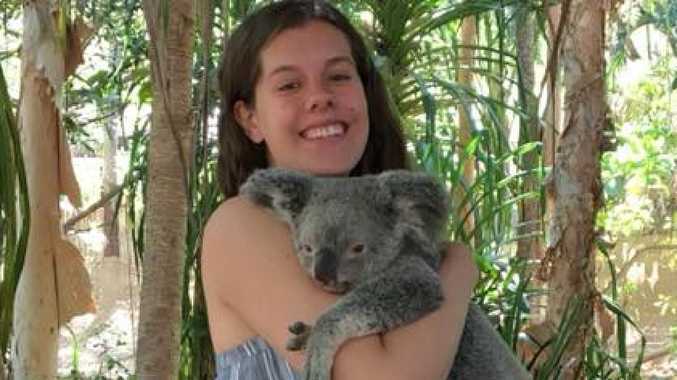 German backpacker, Selina Frey, 19, claims the couple owe her $237 for 10 hours of work she completed on a capsicum farm in December last year. 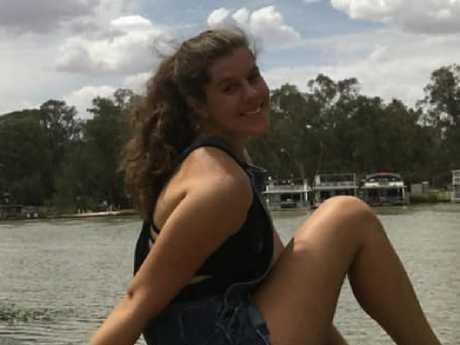 Selina Fray travelled to Mildura to complete her mandatory farm work. Selina alleges the couple paid her $20 per hour rather than $23.66, the minimum wage for fruit pickers required by Fair Work. Without the proper pay slips for the hours she's worked, Selina is unable to apply for a second visa and will be forced to return to Germany much earlier than planned. "After what happened I decided not to do farm work anymore. I only have pay slips for 38 days. It's so messed up how they treat us backpackers," Selina says. After contacting Fair Work, Selina was told to send a formal letter to the contractors. The couple have yet to respond to Selina's request for payment. Selina Fray was forced to leave Australia much sooner than she had hoped to. After being contacted by news.com.au, the Fair Work Ombudsman says inquiries will be made into "Paulo Ropi", the business name registered by the couple. "We encourage any workers with concerns to contact us directly for assistance. In November last year, the Fair Work Ombudsman released our Harvest Trail Inquiry report outlining our findings and recommendations following an extensive review of the horticulture industry. We are looking forward to acting on the findings to improve workplace compliance throughout the industry," a Fair Work spokesman says. The contractors have also been accused of hiring foreign workers to toil on capsicum and chilli farms. Dozens of these workers from Malaysia, India, South America and Fiji told news.com.au they were never paid and do not have legal rights to work in Australia. Some of the workers allege their requests for payment were met with a series of expletive-laden text messages threatening to report them to immigration. Two young South American workers, aged 23 and 24, say they were hired by the couple to pick capsicum in Mildura without legal working visas. After disputes about pay escalated between the couple and a large group of pickers, Ms Fonoilaepa and Mr Ropi allegedly asked them to move into their home to help with bookkeeping. 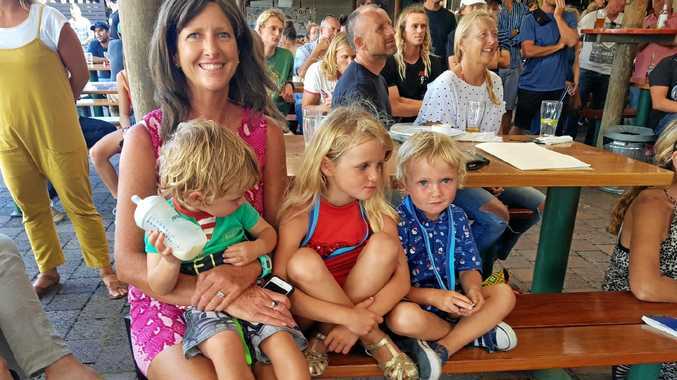 The South American workers allege they are owed $2600 for the extra hours they worked, cramped into the tiny, two-bedroom house with the couple and their two children. "I did all the excess and when I had everything together so she can pay them, she said all the workers were bothering her," the 23-year-old worker says. "The government pays for the house so we weren't supposed to be there. So she sent us to another house that belongs to the farmer." Stranded at the farmer's house in Mildura, Carla and Valentin say they had no food or water and were running low on money. 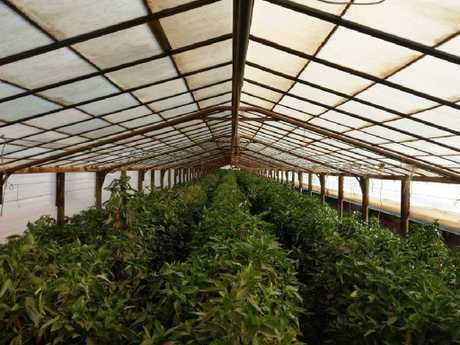 The capsicum farmer, who has worked with Ms Fonoilaepa since at least 2008, claims he is unaware of illegal workers on his farm and says he paid Ms Fonoilaepa and Mr Ropi "up-to-date" for their services. "People were coming out of the woodwork from months ago and even years ago that haven't been paid. As soon as I found out what was going on, I stopped working with them," the farmer says. Fig pickers in Coomealla have also reported being owed money and pay slips by the couple from December last year. The fig farmers who hired Ms Fonoilaepa and Mr Ropi denied news.com.au's request for an interview, claiming "it is unethical for us to discuss our employees". Conditions for pickers are often unbearable, especially on hot summer days. 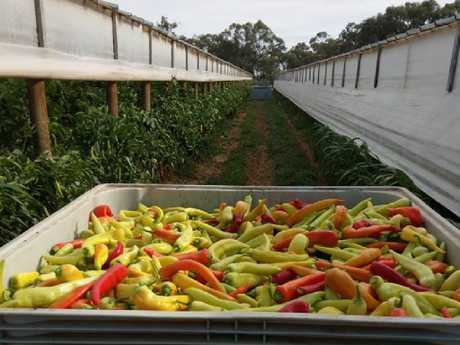 Since being fired from the capsicum farm, the contractors have reportedly been spotted working 14km from Mildura in Red Cliffs. With workers, hostel managers and locals claiming they are owed money from as early as 2014, it is likely more people will come forward alleging they have debts to be resolved. News.com.au reached out to Ms Fonoilaepa who claimed she had bank transactions proving she had paid workers. However, she refused our requests to provide evidence and would not comment further. To seek assistance from the Fair Work Ombudsman contact the Fair Work Infoline on 13 13 94. An interpreter service is available by calling 13 14 50.